Now adapted for young readers, Senator Kamala Harris's empowering memoir about the values and inspirations that guided her life. As the first woman, African American, and South Asian American to become attorney general of California, and the second black woman ever elected to the U.S. Senate, Kamala Harris has blazed trails on her path to the national stage. But how did she achieve her goals? What values and influences guided and inspired her along the way? 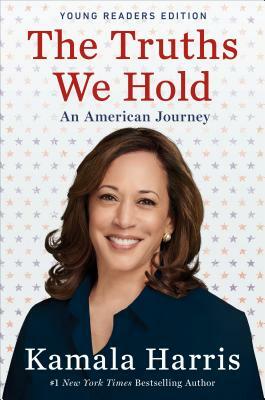 In this young readers edition of Senator Harris's memoir, we learn about the impact that Kamala's family and community had on her life, and see what led Senator Harris to discover her own sense of self and purpose. The Truths We Hold is a biographical ode to the values she holds most dear--those of community, equality, and justice--all of which helped shape her choices on her path to the Senate. An inspiring and empowering read, this book challenges readers to use their own values to guide their decisions and become leaders in their own lives.